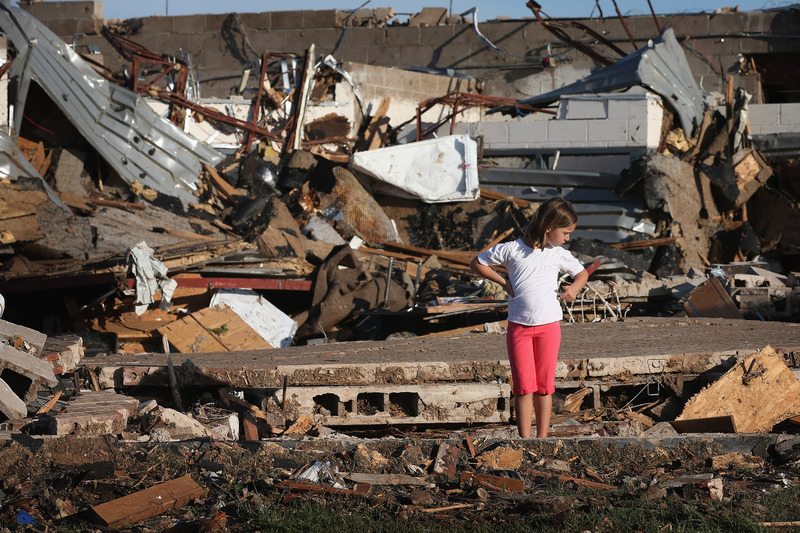 My heart aches for the people of Oklahoma. So does yours. Less than a year ago we endured Hurricane Sandy. Soon after, the Sandy Hook Elementary shooting in Newtown, Connecticut. Then, the Boston Marathon bombings. As we look around the globe we see there have already been about 600 earthquakes in 2013 and last year, in the US alone there were 932 confirmed tornadoes. Some are saying that this latest one in Moore, Oklahoma was the biggest and worst one ever recorded. We barely recover from one tragedy and then we’re hit with another. Perilous times have come and they will be growing worse and worse. Some folks in Oklahoma need to hear this message, but this is not the time. They are suffering more than most of us can imagine, and frankly, pulling them aside and saying, “You know, all things work together for good to those who love God,” probably won’t be received well or bring them very much peace. That’s why this verse is for you. Honestly, you do not want to find yourself in this lonely and broken position without Jesus Christ as your Lord and Savior. While it’s true a person might come to a saving faith in a horrific situation (many do), Jesus wants you to know that today is the day of your salvation and there is no guarantee that you will survive the next tragedy that shows up on your doorstep. And it will. The next tragedy is just around the corner and it is coming quickly. Jesus is the answer. He is the One who delivers us, and if we should perish, Christ is the One who receives us to His bosom. In Him alone is our hope. Before the tempest, in the trial, and after the tumult, it’s Jesus. He is our firm foundation that cannot be moved. Your search has ended; Jesus has found you! The world as we know it is quickly fading. And even if it were not, you still need a Savior, [because] eternity does not fade. You will spend forever somewhere: Heaven, with God, or Hell, without Him. This is true whether tragedy strikes you or not. You need to be saved even if you do not recognize the storm that’s brewing all about you — our sin condemns us. In Christ Jesus we are saved. He is the only hope we have. Don’t wait for the next tragedy to strike, for if you do not know Him as your Lord and Savior, calamity is already upon you. Shed that garment of misfortune and put on the clean and pure garment of Christ’s righteousness. It’s free; all you need do is receive it by faith. If you want to know more, leave a comment and I’ll do my best to assist you. If you enjoyed the post please like it, share it, subscribe to the blog, or leave a comment. I am blessed that you took the time to read this post today. God bless you. I had to write something today. I only need 11 more hits/views to reach 100,000 readers and I didn’t want that to occur without having written something to mark the occasion. I fully understand that in the blogosphere 100,000 really isn’t a big deal, unless of course a single post gets that many hits in one day — it took me 3 years to hit the number. Nevertheless, I am appreciative — first to the Lord for providing ‘good’ material, and second to those who stumble upon this ‘blog’ in my eye. If this is your first time reading, welcome. This blog is about Jesus and Christian discipleship. If you’re into that kind of thing, please subscribe, and if you have a blog, I’ll subscribe back. That’s how I roll. By the way, do you know Jesus Christ as your Lord and Savior? Do you believe and follow Him? You should. Jesus is the way, the truth, and the life. There is no other way to be saved. You are going to live forever somewhere: Heaven or Hell. Smart folks choose Heaven and the smartest folks choose Jesus. 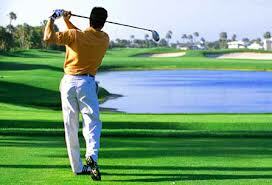 I did play golf this morning with my buddy Gary and it cost me $28 bucks. That works out to 27.5 cents for each stroke I took. You do the math; I’m too embarrassed to tell you my score. HEY! If you enjoyed the blog (even though it was a little scant today), please LIKE it, subscribe to it, share it, or leave a comment. If you want to know more about Jesus, drop me a note — I’ll tell ya everything I know. God bless you. Prophesying, serving, teaching, encouraging, giving, leadership, mercy, the word of wisdom, the word of knowledge, faith, healing, miraculous powers, distinguishing between spirits, speaking in tongues and interpretation of tongues, helps, governments, and diversities of tongues. But, I don’t see prayer warrior on the list. I suppose you could make an argument that tenacious prayer falls under one (or more) of these categories, but I sense that’s when we begin to stretch the doctrine a little too thin. Let’s be honest, prayer is a vital component of each of these giftings, but is not the actual gift. Elevating someone to the status of prayer warrior may encourage the believer who happens to fit the mold, but it simultaneously sends an erroneous message that this person is gifted in a way that we are not, and therefore, we have been relieved of this duty. Do we really believe that? Aren’t prayer warriors doing the very thing that we are called to do? 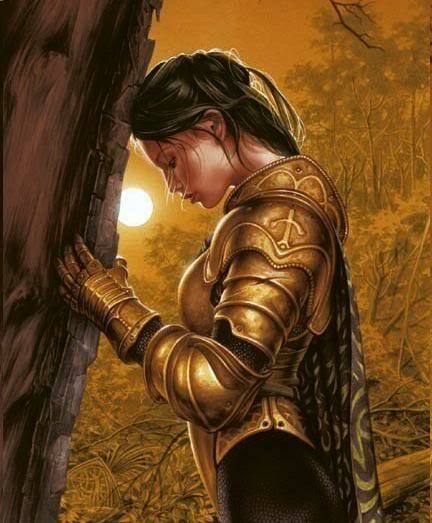 Wouldn’t it be more accurate to say that prayer warriors are obedient, rather than gifted? Finally, should we be seeking out a prayer mediator when the Father has already provided us one? Haven’t we also been given a Helper in our pursuit of prayer? Here’s the truth — God desires all His children pray in this manner! The fact that you don’t now is not the point. God never intended that in your discouragement (in this regard) you turn to another Christian, but rather you turn to Him. Therein lies the point! There is nothing in there that remotely suggests we find a prayer warrior to do this for us. Do you see anything in there that implies this is somebody else’s job? Me either. The one thing that does jump out at me [is] that if we’re not praying like this, we’re throwing water on the fire that is the Holy Spirit. That cannot be good. Am I suggesting we should not seek out others to pray for us? We are called to pray for one another. I’m saying that there is not a circumstance to ever shy away from being the type of communicant the Lord wants us to be or to relegate the duty to someone else. God wants to talk with us directly and has fully equipped us to be fervent communicators. Talk — God is listening. If you enjoyed the post please like it, share it, comment on it, or subscribe to it. Frankly, I am blessed that you stopped by to read it today. God bless you too! It’s been estimated that since Christ’s time on earth, 70 million Christians have been martyred for their faith. Recent statistics reveal that over 100,000 Christians are killed each year. Their crime: faith in Jesus Christ. Some reports say that annual number is closer to 160,000 deaths per year! As for general Christian persecution not necessarily leading to death, it is estimated that currently over 200 million Christians are being persecuted worldwide. That’s 200 million Christians who are routinely subjected to oppression, humiliation, jail, beatings and/or torture. I don’t know about you, but I very often feel helpless. My attention has been drawn to the reports of American Christians, arrested in foreign lands. Names like Saeed Abedini, Kenneth Bae, Maryam Rostampour and Marzieh Amirizadeh have made our recent headlines, thanks primarily to a select few media sources, such as Fox News. Why would God allow this to continue? The answer to that question has too many facets for us to count. In a sad way (and in one small aspect), I see these arrests and the media attention they are receiving, as a good thing, in that the eye’s of American Christians are being opened to the horror. Is this a tiny portion of God’s plan? It very well could be, although I would not be dogmatic about it. The reality is that many of us have heard the outrageous statistics, but at the end of the day they are just numbers on a piece of paper and we do nothing. 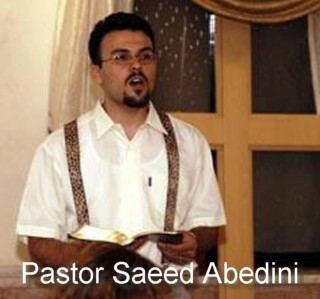 So in a sense, Saeed Abedini and Kenneth Bae have become the face for Christian persecution — essentially they are the poster boys for the 200 million tyrannized Christ-followers, worldwide. As a first response to any situation, prayer is our course of action. Frankly, it is the best thing we can do. God, through prayer, does many incredible things, but the fact that God changes us when we pray could perhaps be the most significant factor. Don’t believe God changes us? Then try praying sincerely for your enemies or for the needy or praying thanksgiving over the blessings you already have, and watch how God changes you. The truth of the matter is that in our earnest prayers, God reveals the next step we are to take. It might be a baby step or it might be a grand leap, but whatever it is, He shares the maneuver with us. In contrast, if we do not pray, we probably will not hear. We need to know that our prayer, at least as it pertains to how God wants to change us, is often rendered powerless, unless it is our intention to obey whatever we learn from God in those prayers. In actuality, we might want to include that talking-point in our prayer, for as we know it is not an uncommon thing for our Spirit to be willing, but our flesh to be weak. It has been my experience that if the Lord detects any insincerity in this regard, He likely guides us to address our submission issues, while putting the other items we presented on hold. Not always, but remember, our Father is a God of order, not chaos. What God says to you may not be the same thing He says to me. It could be, but I believe the Father takes our individual needs into account, in order that the changes He makes in us are most appropriate for us. That makes sense, doesn’t it? Let us also keep in mind that these changes in us are for His glory, not ours. For example, when I began to pray for the persecuted church, God’s initial response to me was that these prayers needed to be an everyday, consistent practice of mine. The Lord then moved me to share the dire situation with others so they would pray. I’ve got to be honest with you — I was waiting for God to say to join some cause, or financially support some persecution ministry, such as Voice of the Martyrs. He still might! I am willing, but that’s not the direction God is nudging me, today. One substantial thing He has led me to do is to exercise my liberty as a US citizen — to share the Gospel more boldly and passionately. It seems to me, and I could be wrong, that God would not have reached me with this change He desired to make, unless I had been praying for the persecuted church and the likes of Pastor Saeed Abedini and Kenneth Bae. All that is to say, God is faithful. I don’t know firsthand what the Lord is doing on behalf of Saeed and Kenneth, and the millions of nameless Christians whose plight we bring before the throne each day, but I know God’s way is the best way and that He will get His glory in each situation. My prayer is that you will be encouraged to pray for the persecuted church and all things, with an attitude of submission to God’s will. Expect to hear from the Lord and be prepared to obey. If you enjoyed the post please like it, share it, comment on it, or subscribe to the blog. God bless you.